The sixth Asia-Europe Meeting (ASEM 6) opened in Helsinki, Finland on September 10 with the participation of leaders of 25 Asian and European countries. On the agenda are such hot problems as the Korean peninsula and the Middle East as well as issues like energy security and sustainable development. ASEM 6 agreed to invite India, Mongolia and Pakistan to join the next ASEM and proposed ASEM membership for the three countries in 2007. Asian leaders agreed Europe’s Bulgaria and Romania as new ASEM members. 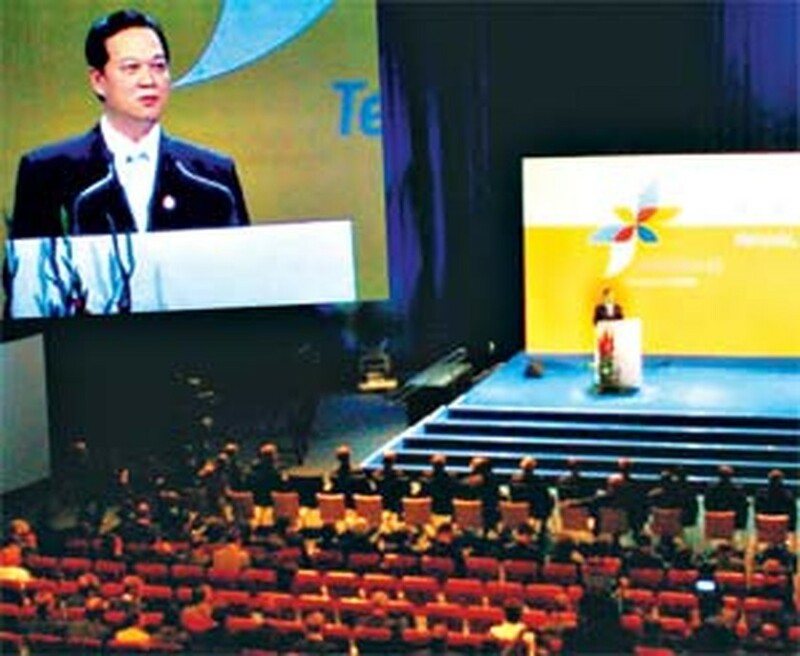 Vietnamese Prime Minister Nguyen Tan Dzung delivered a keynote speech at the ceremony along with the speech of the PM of the host country of ASEM 5. He said ASEM cooperation has continuously expanded and developed, with economic and trade cooperation as a major target. In addition, due attention should be given to cooperation in human resource development, environmental protection, prevention of disasters and epidemics, especially HIV/AIDS and avian influenza. The Vietnamese PM said he believed the IT Ministerial Meeting to be held in Ha Noi this December would create a new momentum for strengthening Asia – Europe cooperation. Earlier, Vietnamese PM met with his Singapore counterpart Lee Hsien Long, Thai Premier Thaksin Shinawatra, Cambodian PM Hunsen and Malaysian PM A.A. Badawi to discuss issues of mutual interest, including building a railway system from Singapore to China via Malaysia, Thailand Cambodia and Viet Nam. The five premiers agreed to put this issue on the agenda of the coming Nanning Conference in China. Also on Sunday, Prime Minister Nguyen Tan Dzung and his Chinese counterpart Wen Jiabao vowed to boost more cooperation in various fields, especially trade. 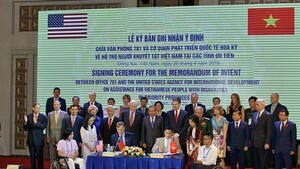 The Vietnamese side hopes to deepen bilateral trade and economic cooperation and promote cooperation in electricity generation, energy and mineral resources exploration. Chinese premier Wen reiterated that China supports Viet Nam in joining the World Trade Organization and is willing to share its experiences. PM Dzung also met with his Czech counterpart Mirek Topolanek. The two sides prepare for Czech President Vaclav Klaus’ visit to Viet Nam late this month. The Vietnamese leader was due to meet with the French President, the Polish Prime Minister and the Dutch Prime Minister on Sunday.